When my eyes are fully open, my lash line is almost but not quite against my crease. I also have a tendency to get oily eyelids. For these reasons, eyeliners--even the ones that claim to never budge--always disappear within an hour or leave behind a smudged mess. In fact, the only one I've tried that has lived up to its stay-put reputation is Geisha Ink. I was complaining about my eyeliner plight at the Almay media preview a couple months ago, and lo and behold, their publicists sent me samples of Revlon ColorStay Creme Gel Eyeliner and Almay Liquid Liner (both available at London Drugs) a couple weeks later. Hot August weather is as good a time to test-drive budge-proof eyeliners as any, and I was able try both in the last week or so. 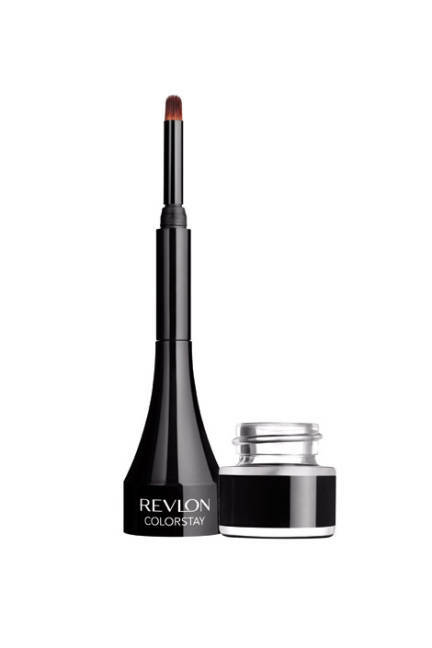 Klutzes beware: Revlon's ColorStay Creme Gel Eyeliner requires a steady hand and some practice before you can get a thin, smooth line. Part of the problem may be the pull-out brush which plugs into the top of the twist-off cap; it's just too wide and blunt for any precision. Using my own angled liner brush and pressing the colour into my lash line yielded much better results. That being said, I found the eyeliner didn't stay on very well during an evening of salsa dancing (hello, panda eyes) despite its claim that it would last 24 hours. Ironically, I had better luck with the Almay Liquid Liner even though it only claims to last 16 hours. The brush is fine-tipped, deposits an even amount of liner, and makes it easy to achieve a precise cat-eye look. In fact, when I wore it on one of the hottest days this month, it performed as well as my beloved Geisha Ink normally would. Although I won't give up my tried-and-true liner anytime soon, it's nice to know that high performance can be had from a drugstore product. And one formulated for sensitive eyes and contact lens wearers, no less! Have you tried either of these liners? What's your favourite budge-proof liner? The Almay sounds like a good eyeliner! It is. the almay one I Use I love it . 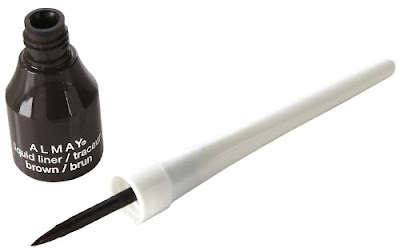 I struggle so much to find a good liquid eyeliner! I will definitely have to try the Almay. I am very surprised that the Revlon liner wasn't very good, their make-up normally works a treat for me! I use the almay eyeliner everyday. Its awesome. Its really easy to work with and gives great results but the thing is it can smudge. But I would recommend it for sure. It teaches u how to put eyeliner on.